The artist has a preference. 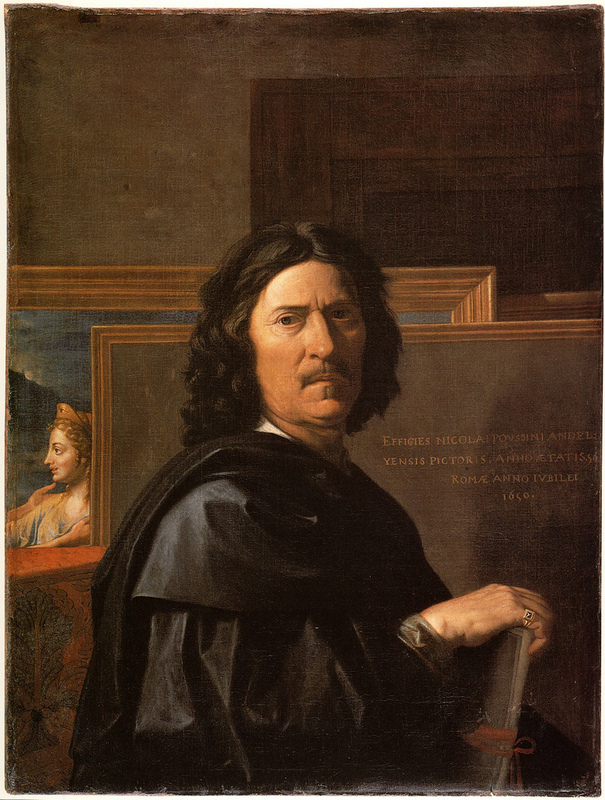 When his Parisian patron Jean Pointel asked for his portrait, Nicolas Poussin (1594-1665), by then residing in Rome and renowned throughout Europe, thought it best to do the job himself. The outcome shows just why. 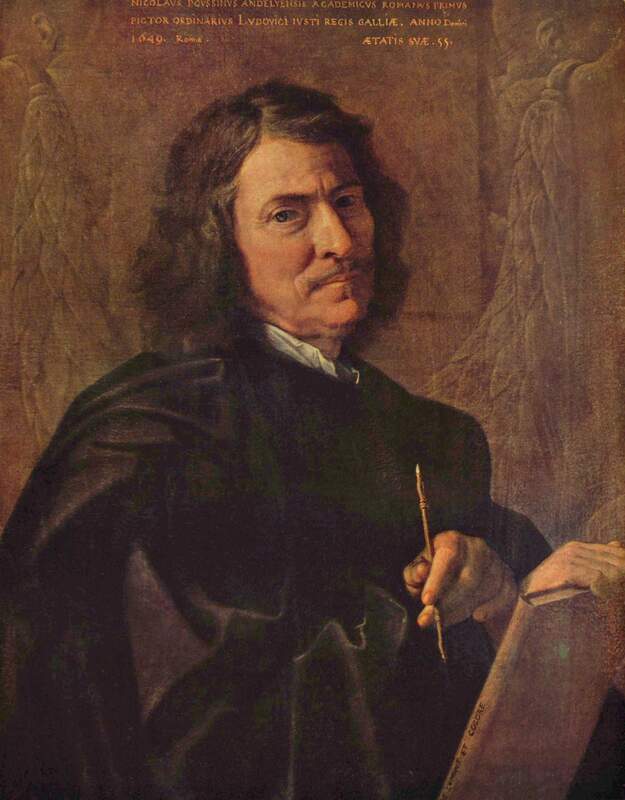 The artist set out producing two self-portraits, wilily assuring his commissioner that he would give him the one that turned out best. In 1649 he painted the top one, posing in front of a tomb in the style of a memento mori, while in 1650 he made the other (bottom), with the artist posing in front of a painting of a woman about to embrace another person, probably a sign of the artist’s friendship to his patron. He sent them both to Paris in the same batch, but the two paintings met a different fate. 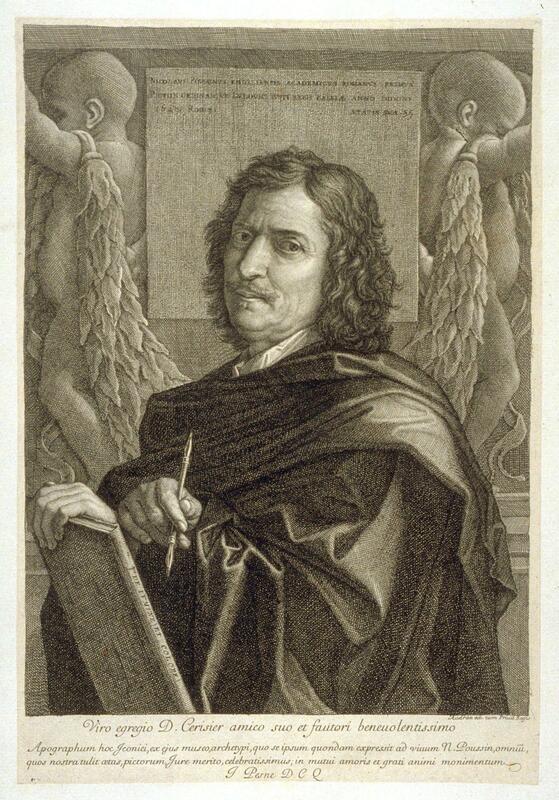 The 1650 one, now in the Louvre, propagated Poussin’s reputation as an artist of intensity and decorum — his dark eyes caught in the lines of the two frames behind him — and was taken as an artistic model by successive generations of painters. The 1649 portrait was less lucky. It suffered a downsizing (witness Jean Pesne’s specular etching, centre) and sat in Berlin, in virtual obscurity, for over three centuries, undeservedly atoning for the fact that the artist was more partial to its younger brother.